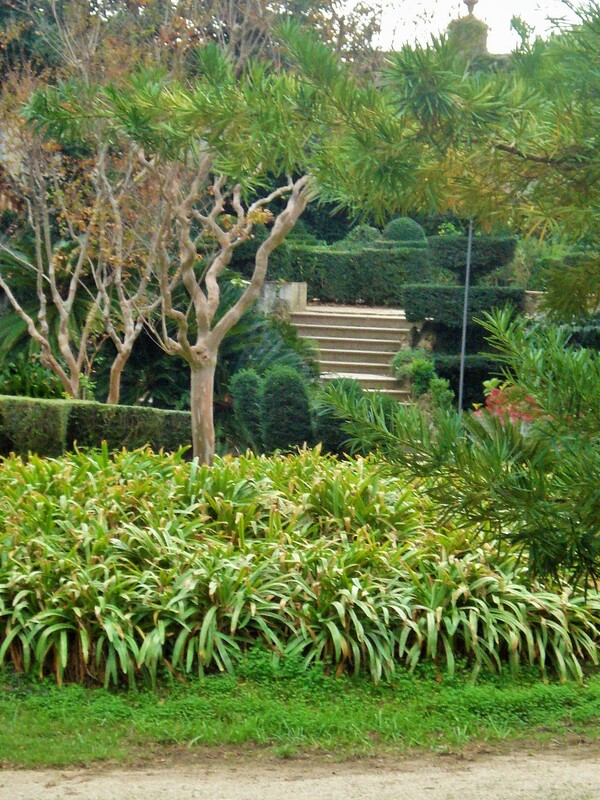 In this post, I will focus on the first area of the park. 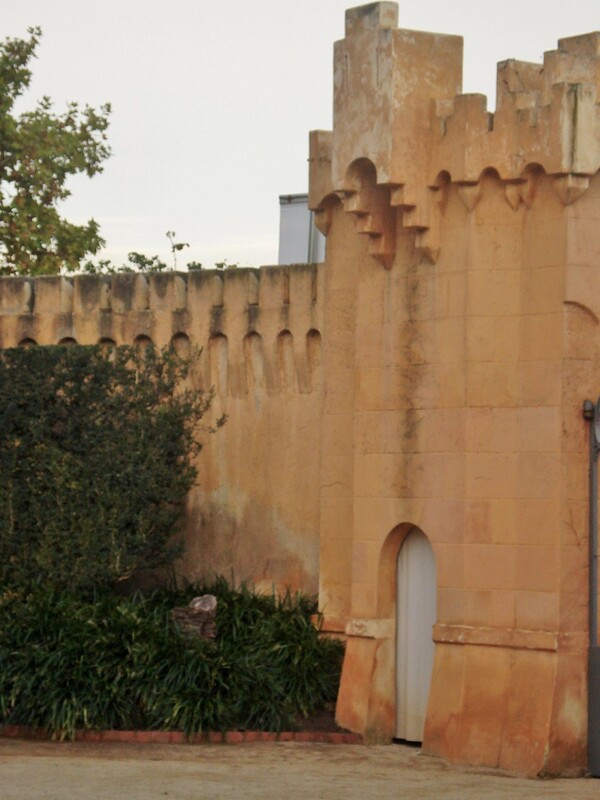 The house was originally built as a country house in the 14th century, but was substantially redone in the 19th century with a moorish inspiration. 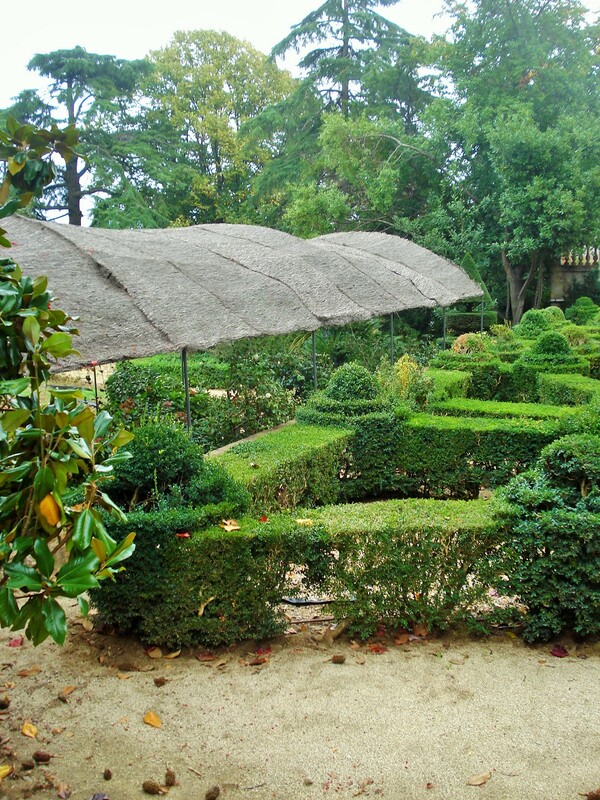 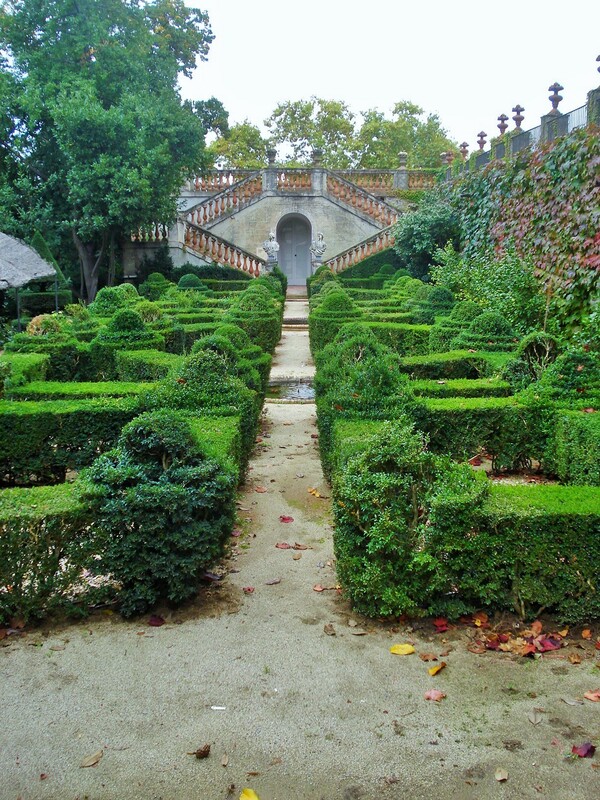 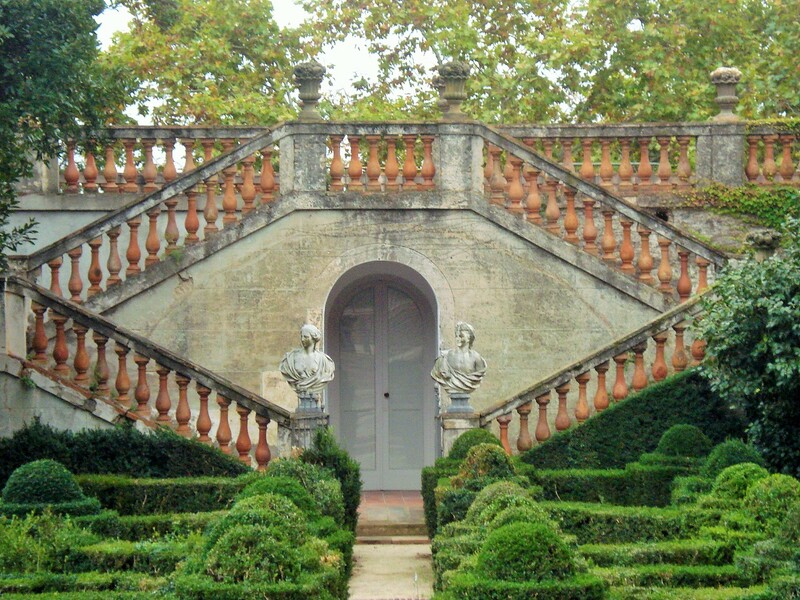 The walled gardens are done in a formal style. 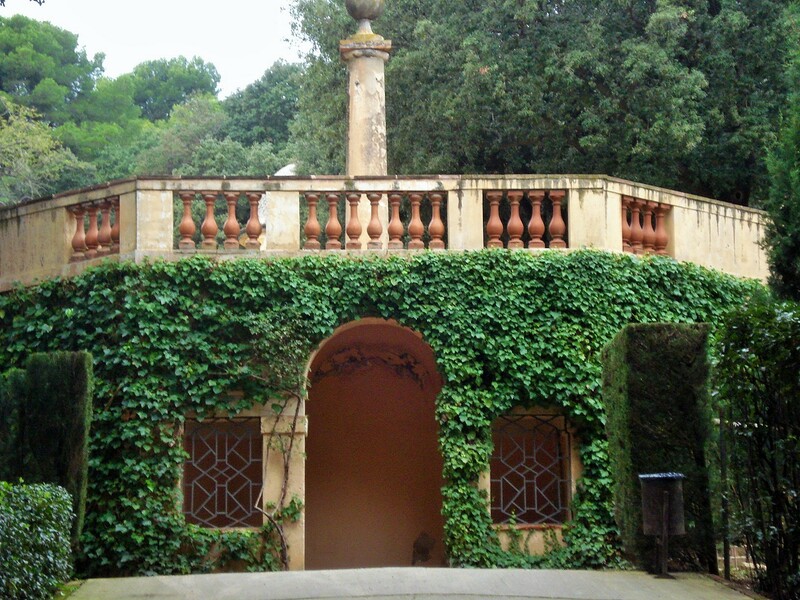 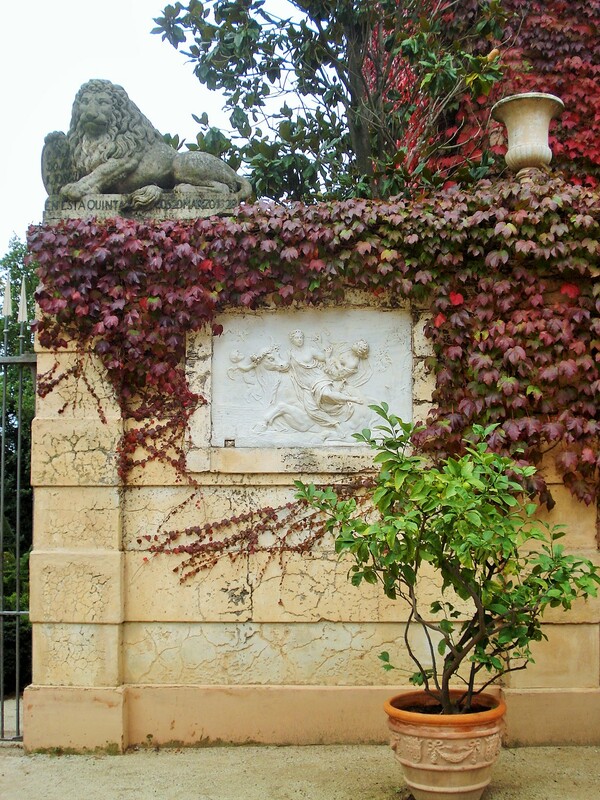 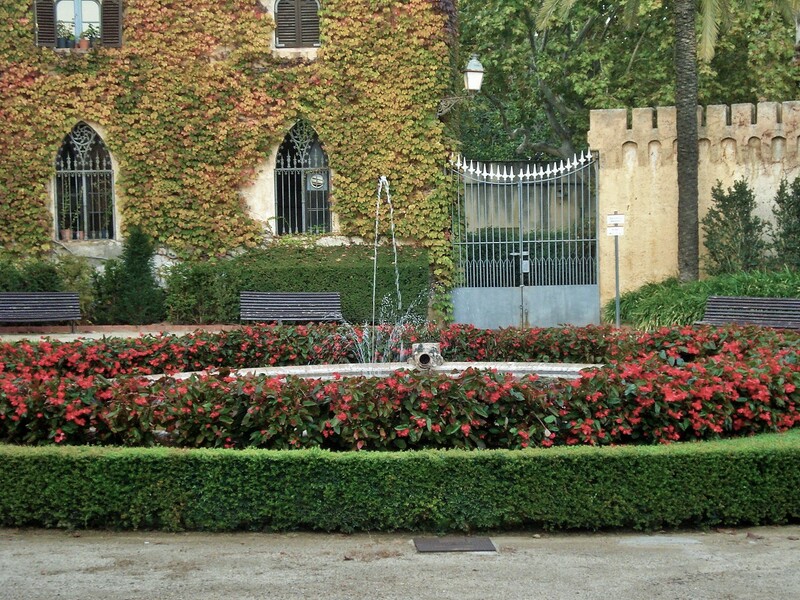 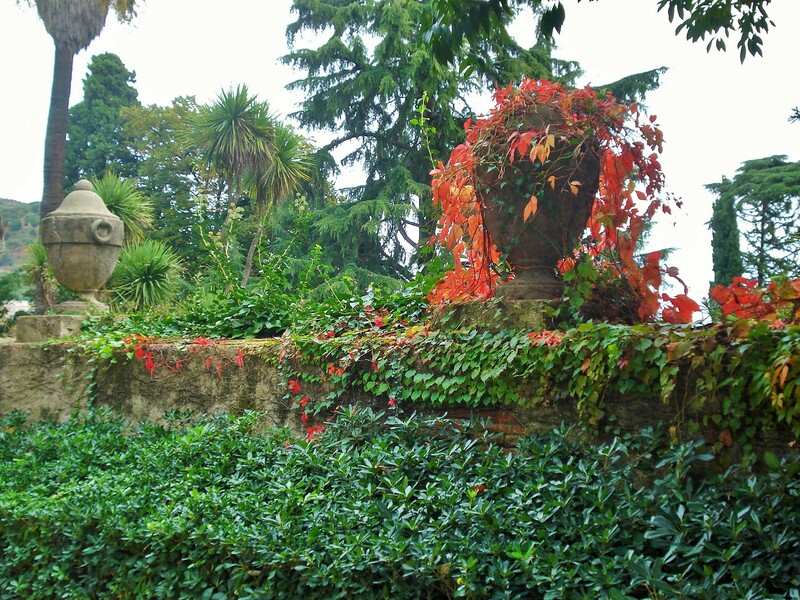 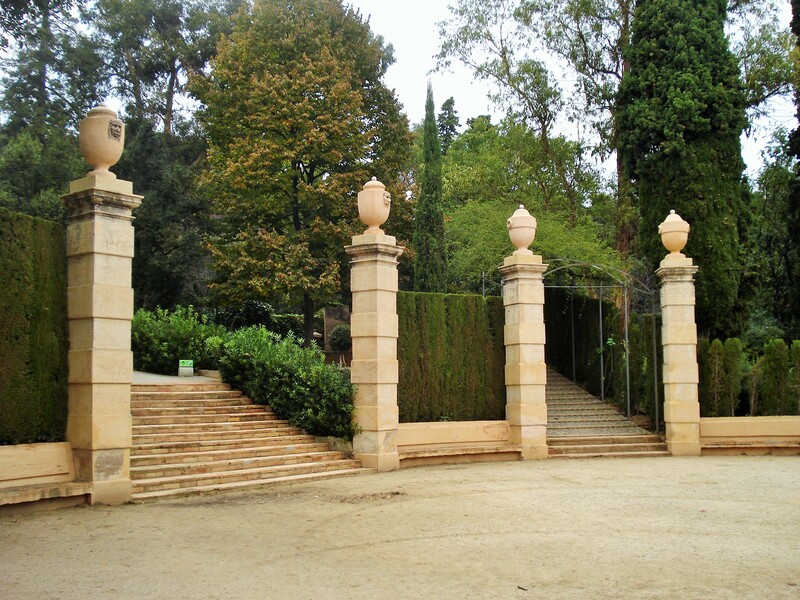 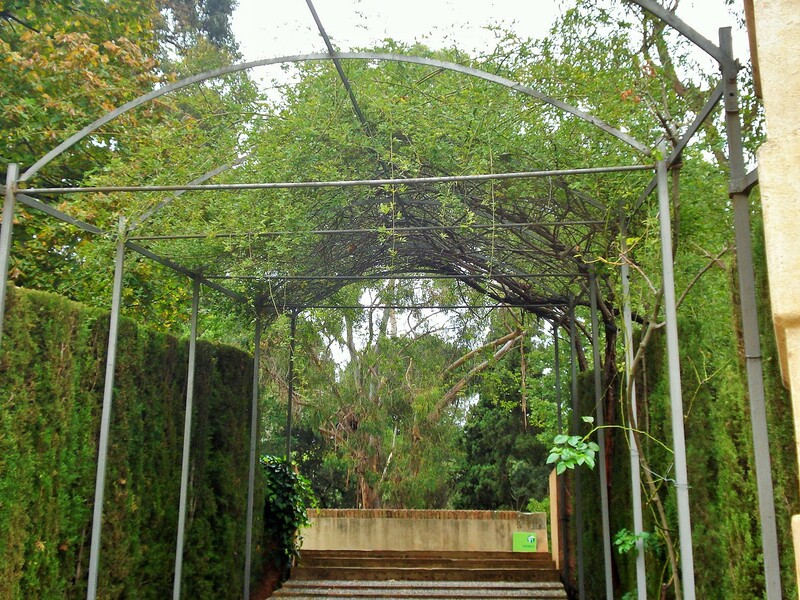 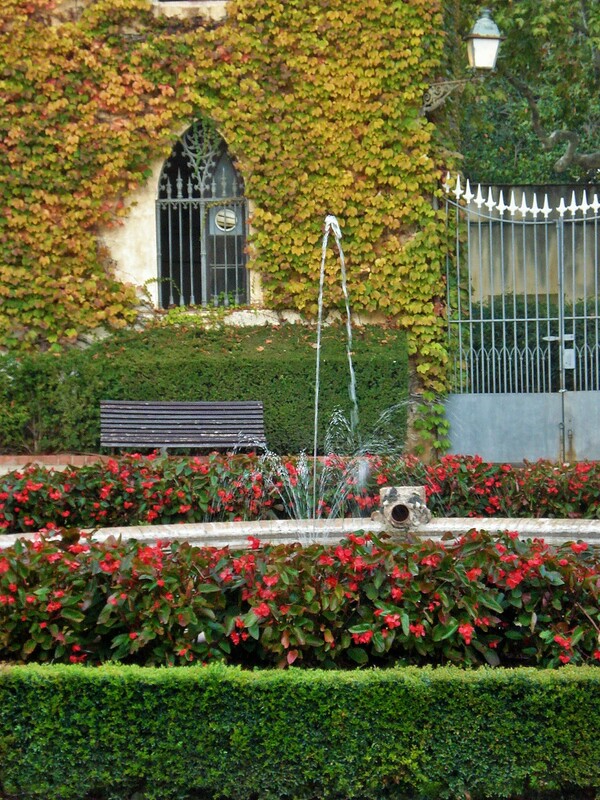 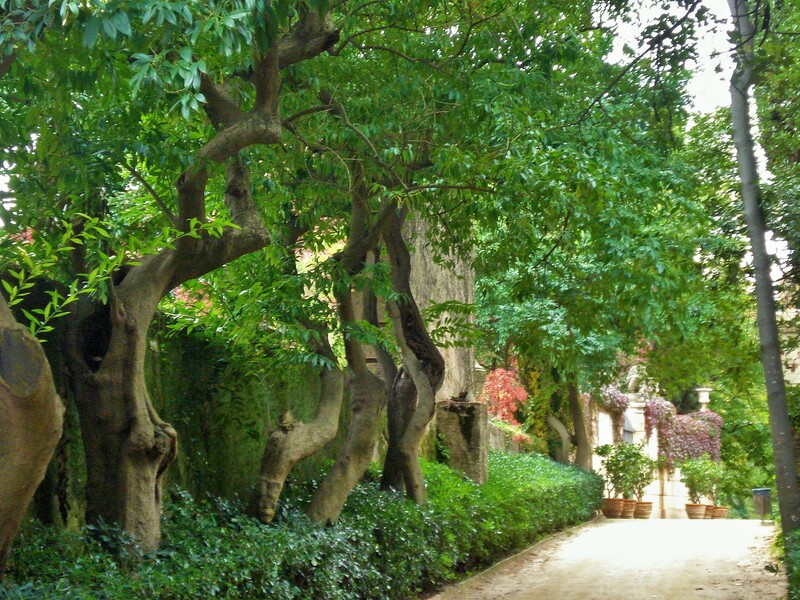 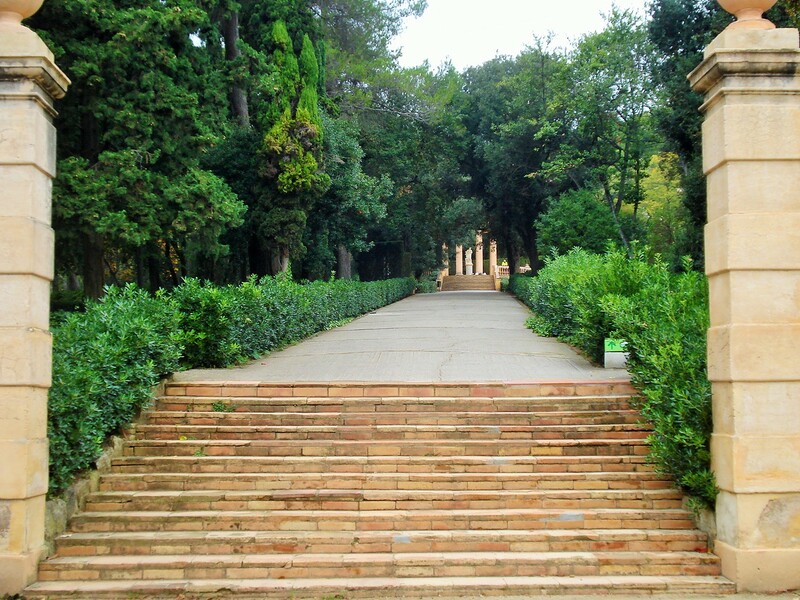 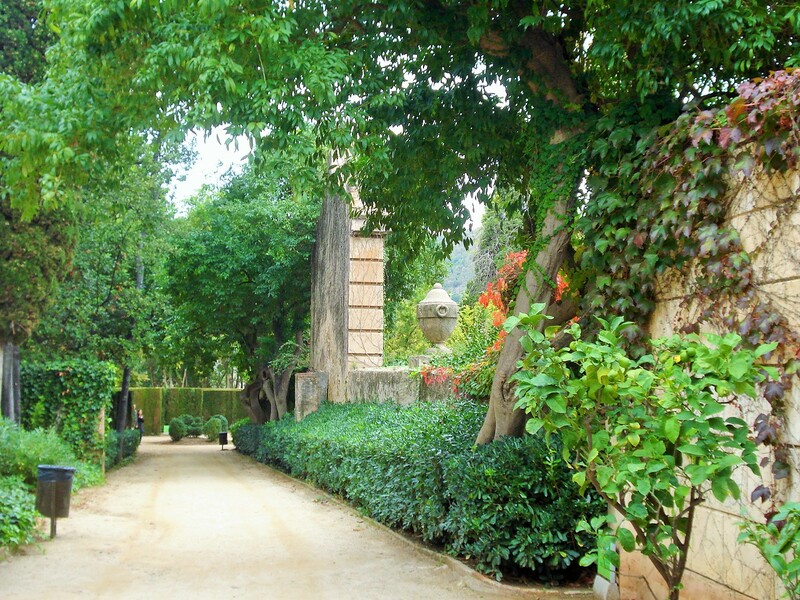 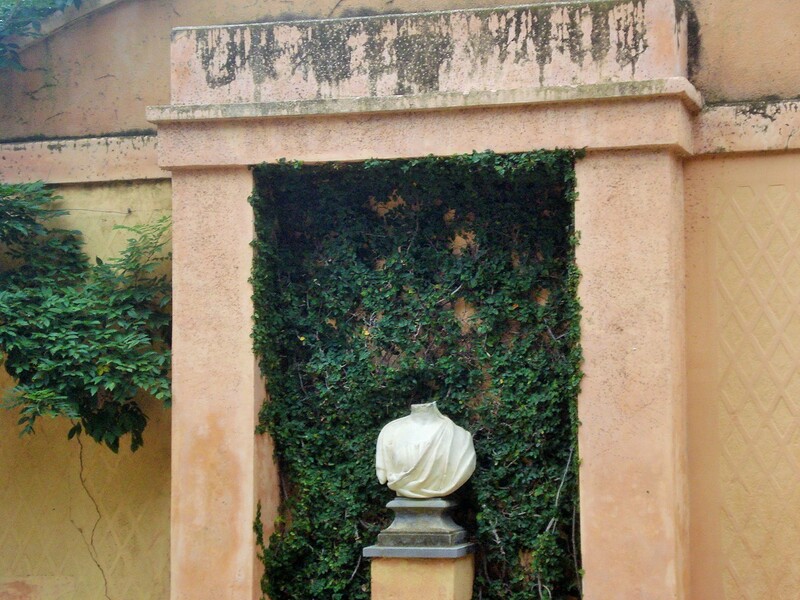 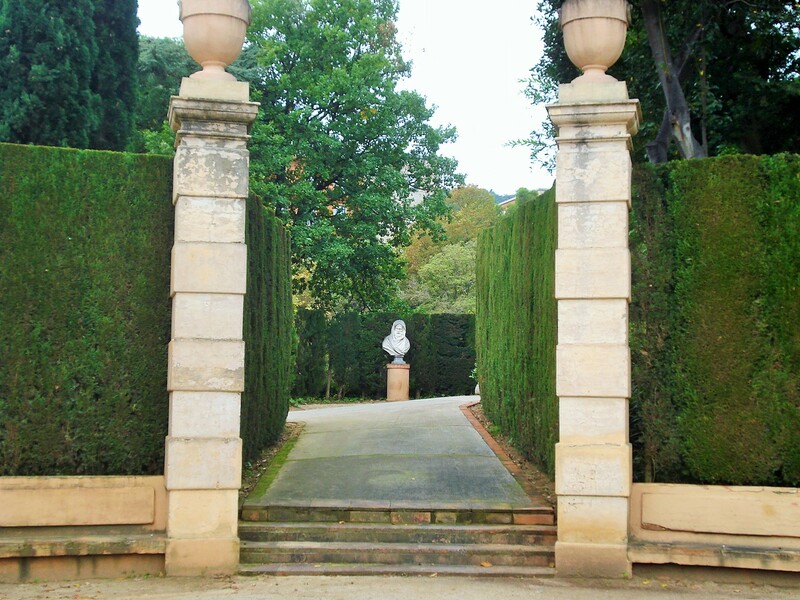 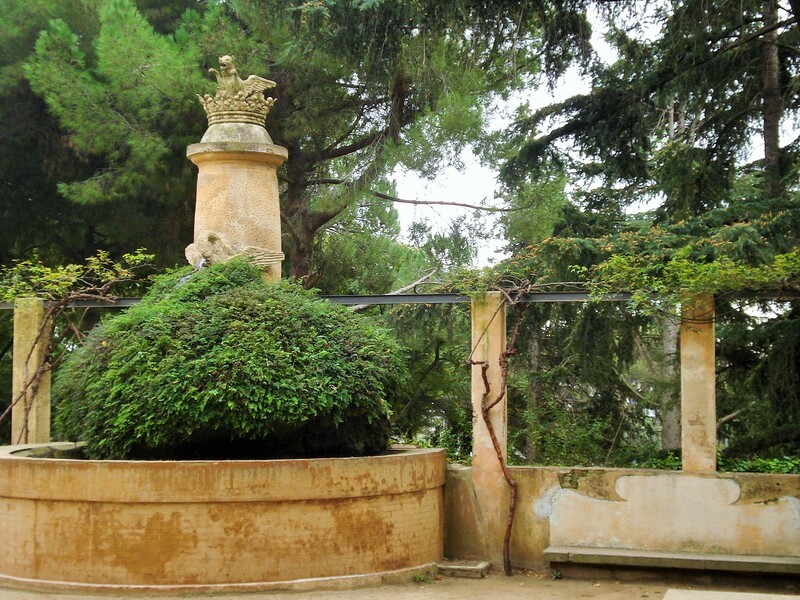 Just outside the walls, a round terrace is the starting point for alleys leading to other parts of the park, an arbor, a statue, or ornate stairs to a terraced garden area. 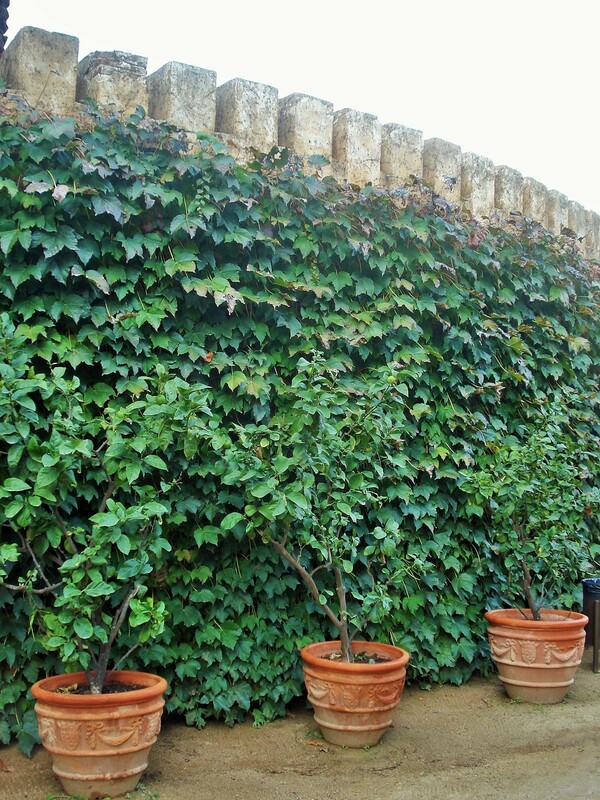 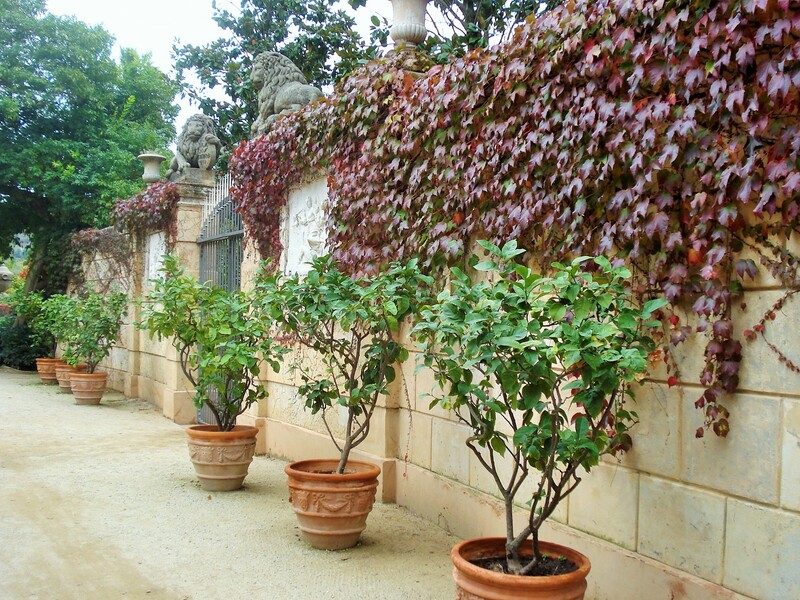 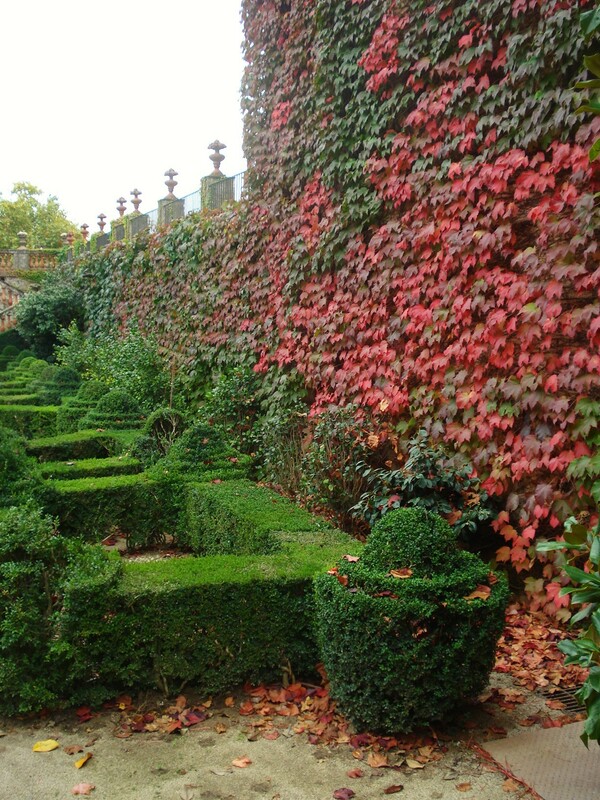 The walls themselves are quite ornately decorated and lined with plantings.